Q: What is the maximum file size of an attachment? How can I change it? Problem: When we try to attach a file that is too large we get the following error: "Looks like application is not available. Please check your connection or server availability". A: Targetprocess itself does not have a limit for the size of the uploaded files. 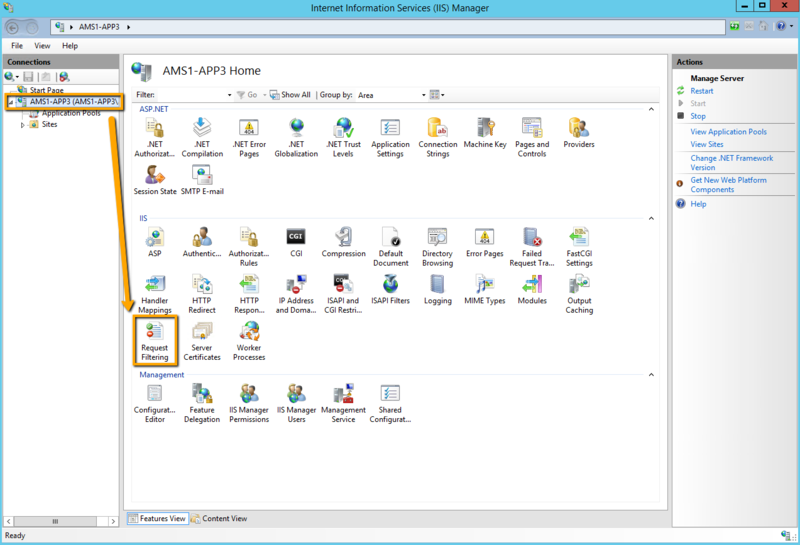 However, application settings apply a default limit which is set in IIS to 30 Mb. For on-demand (cloud) accounts this limit is already changed to 100Mb. For on-site customers, it is possible to manually increase this size. To make this change you will need a connection to your Targetprocess hosting server and Administrator permissions to apply necessary changes. Otherwise please contact your administrator and ask him/her to make the changes. 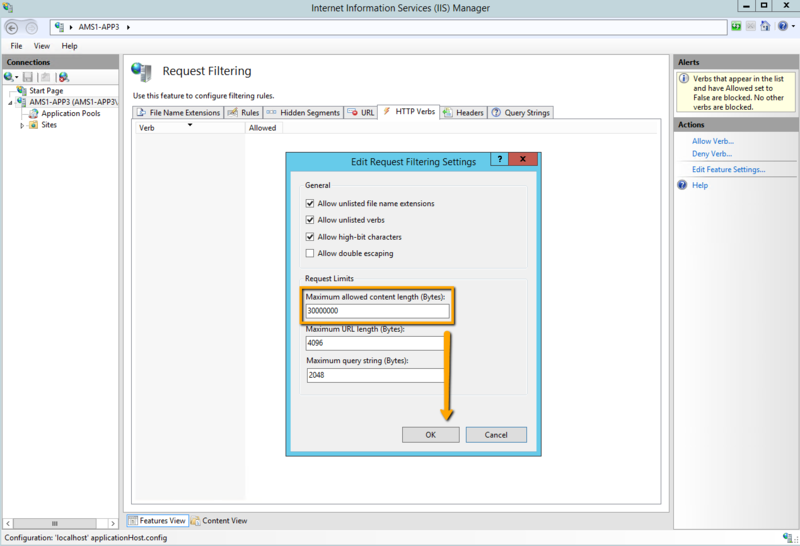 In order to increase default size, please modify IIS and Targetprocess settings. The measurement unit is Bytes. To increase the limit from 30 Mb to 100 Mb, change it to 100000000 and save settings. The value maxRequestLength should be modified. Measurement unit is Kb. Set it to 100000 for 100 Mb limit and save the file. You should restart your website for the changes to be applied.